Beloit, WI -Hillary Clinton could face impeachment if she is elected president because her use of a private email server as secretary of state broke the law, Sen. Ron Johnson of Wisconsin said. In an interview, Johnson told the Beloit Daily News (http://bit.ly/2eS9hcp) on Monday that Clinton “purposefully circumvented” the law. The Republican said, “this was willful concealment and destruction” involving information related to national defense. Federal law provides anyone found to have concealed or removed such records is disqualified from holding office, Johnson said. The Clinton campaign did not immediately respond to a request for comment from The Associated Press. 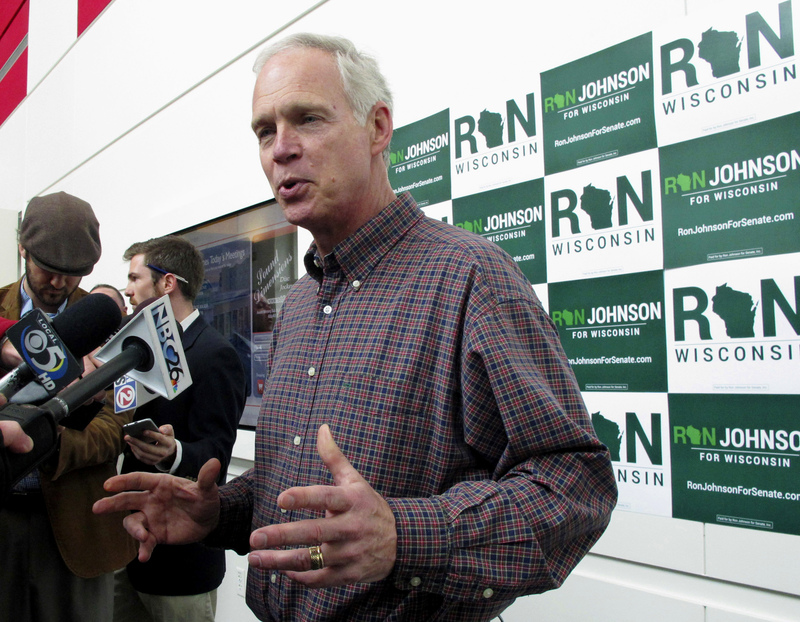 Johnson is locked in a re-election battle with Democrat Russ Feingold, whom he defeated in 2010. Johnson said he believes the initial FBI investigation into Clinton’s use of a private email server was not in pursuit of truth, but instead was intended to cover up her actions. In July, FBI Director James Comey said Clinton had been careless with classified information but he declined to prosecute her. “That was a corrupt conclusion,” Johnson said of the results of the investigation. On Friday, FBI Director James Comey told Congress that the bureau had discovered additional emails that might be relevant to the Clinton email case. I keep saying a vote for Clinton is a vote for President Kaine. Unfortunately, 1. Hillary could pardon herself if she's indicted. 2. A president can only be impeached for acts done as president, not prior acts. 3. I doubt she would be impeached for pardoning herself (she'd say "it was dividing the country & its time to move on"). Hillary elected and impeached is far better than Trump as president. Hope she's not removed from office of she wins. Her vice presidential candidate sounds as if he's even worse than her. Only in the criminal Democratic Party can a person under federal investigation by obama leftist FBI, run for president. Scary because Kaine could become Pres. If you think the Middle East is bad now wait till he takes the helm! The US constitution does not say anything against her running. Don't vote her in.... So she can go straight to jail without further harming the a,erican people!